Including new research and findings showing what the true causes of HIV & AIDS are and lead directly to their cure! 53 CURED Cases The First Year Cure, not treatment, is the subject of this book. In 1991 Dr Clark discovered the source of HIV. Once the source became clear the cure became obvious. but would it work? After curing 53 cases in a row, all who used this method, Dr Clark could wait no longer to present these findings. 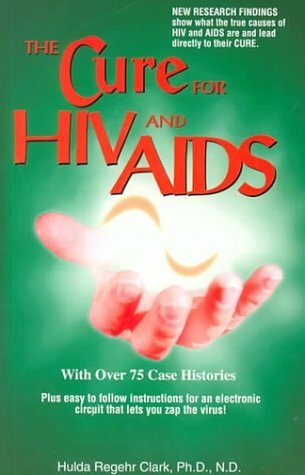 Since that time many more have been cured, too many to be added to this book. Most important is adding yourself to that list! Electricity can now be used to kill bacteria, viruses and parasites in minutes, not days or weeks as antibiotics require. If you have been suffering from HIV infection or AIDS related illness, learn to build the electronic device that will stop it immediately. It is safe and without side effects ad does not interfere with any treatment you are now on.